PLEASE NOTE: Due to exceptional demand, this show now takes place at Leaf on Portland Street. All other details remain the same, and original tickets remain valid. 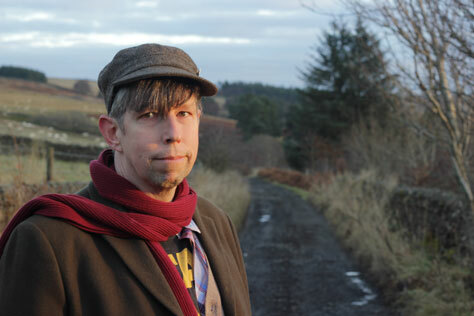 We’re delighted to present a solo show with Darren Hayman, performing Hefner’s Breaking God’s Heart! Hayman was influenced by punk through his art college years, but throughout the ’90s he was inspired by American lo-fi indie-rock. A chance meeting with John Peel favourites New Bad Things and shows with them in London and Portland taught Darren the DIY ethic and soon he was self-releasing records by his first band, Hefner. Local support comes from Manchester’s own Songs For Walter – aka Laurie Hulme. He lists The Magnetic Fields, Bill Callahan and Destroyer among his influences, and has been described by Tom Ravenscroft as ‘one of my favourite discoveries of recent years’.